One of the most popular soaps I ever created when I was making and selling soap commercially was a soap called "Lavender Dream." At its base, it's just a simple lavender essential oil soap―but adding some patchouli and some bright sweet orange essential to the blend gives it some wonderful complexity. (Adding a nice base note and top note to the blend.) Use my combination of soap making oils below, or feel free to create your own soap recipe. Using flower petals in soap is indeed a challenge. If you absolutely must have intact, naturally colored lavender buds in your soap, this is a good recipe to rebatch and not add the lavender buds until you've re-melted the soap. This recipe makes about 3 lbs. of soap and is formulated using a 5% superfat or lye discount. At trace, add in the essential oils and the lavender buds. Stir well. Add your colorants and swirl, if desired. Let it cure for 3 to 4 weeks. 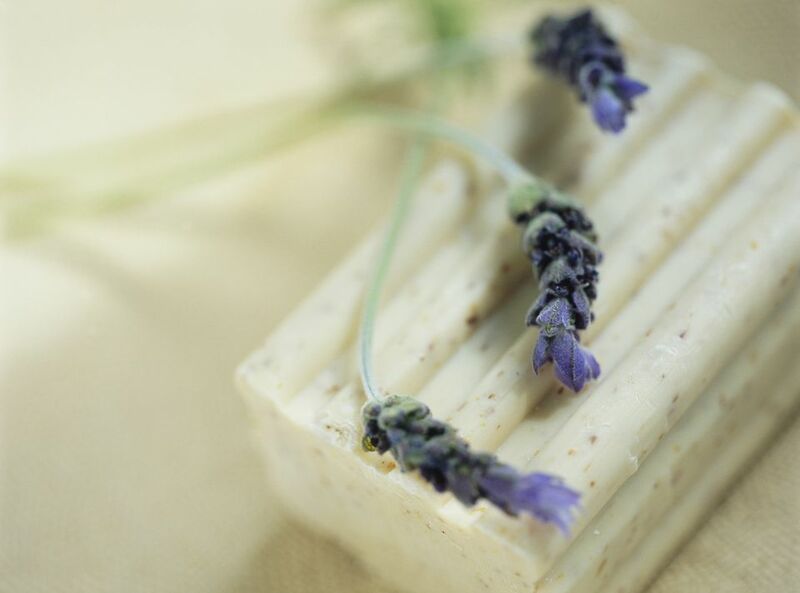 Enjoy your lavender dream soap!